The Manchester tragedy has consequences beyond terrorism, security, and all those lives lost and damaged. At first glimpse, I want to say, “Don’t worry about Ariana Grande. Don’t feel sorry for her. She’s set for life and will be fine.” But then I realize that she is only 23 years old. Maybe she could feel a survivor guilt that follows her for the rest of her career. It’s not the first concert in which lives were lost. Think back to 1979, when The Who played a show at Cincinnati’s Riverfront Stadium. 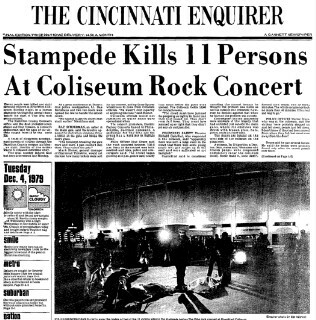 11 fans were trampled to death in the rush for the best of the general admission seating that was offered. Now that, to me, is something the members of the band should have felt much remorse, and some blame, for. This is all different from what happened in Manchester. We’re in a different world from 1979. How do you stop one person from doing something like blowing themselves up outside a concert arena? If you have the answer, tell the Pentagon, because they don’t know. I mentioned above “consequences beyond” the obvious. There is a whole music business ecosystem built around a tour like Ariana Grande’s. There are the people in the venue who are employed for the event. Think of the people at the concession stands. There are truckers who drive the food and drink to the venue to serve at the concession stands. There are companies that make the food and the drinks. There are people in a warehouse that load up the stuff into the trucks. We have the ticket booths. We have the ushers and the security personnel. There are also custodians who clean up. With no show, there’s no money. With no shows, there’s nothing for the truckers to drive or the warehouse people to pack and ship. The hourly workers at the venue have no jobs on show days that have been cancelled. That’s less income for them; less taxes for the government (municipal, federal). It’s a ripple effect that goes a long way. And this is just on the venue side. On the Ariana Grande side, there’s her band. Do they get paid by the show? Or are they under contract for a length of time, paid bi-weekly? If there are no shows, and if there’s no revenue, does that mean band members don’t get paid? Or the dancers? OR the choreographer(s)? OR the hair and makeup people? What about the crew? Lighting people. Sound people. The drum tech and guitar tech and keyboard tech. The merch people. The companies that manufacture and ship the merch. More truckers. UPS or Federal Express or DHL. The tour manager. There are tour assistants. There are runners. The videographer. The social media person. No show, no income. These people aren’t making what you think they’re making (at least most of them aren’t). They need to work. They need to pay for their rent or mortgage and their health insurance and their car payment and their auto insurance and all the stuff we pay for at home. Hell, some of them are probably paying off student loans. If Ariana Grande cancels a tour, these people are unemployed. It’s the end of May. 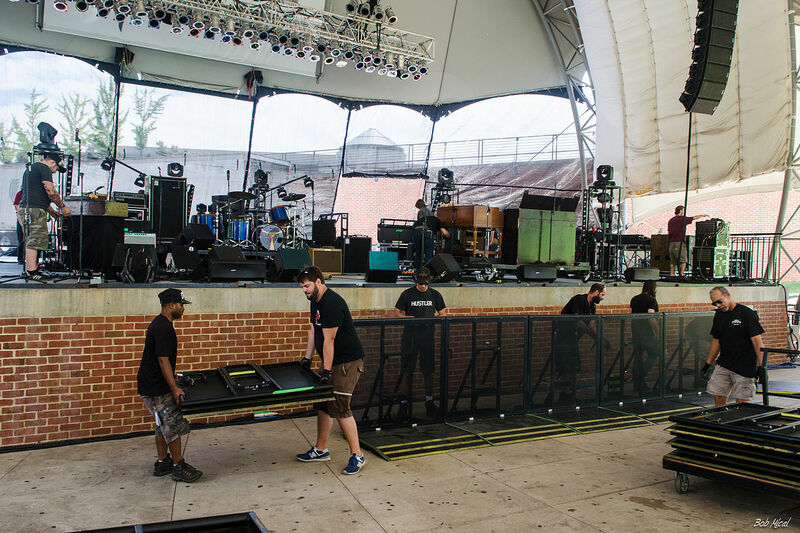 The summer tours are all booked and the crews are set. If you’re on a tour with somebody and s/he cancels for whatever reason and it’s really late in the season, it’s really hard to get something else. There’s also Grande’s management company, led by Scotter Braun. Sure, he’s set. But don’t think that his accountant is a little worried. Fewer shows mean fewer commission for the company. There are still bills to be paid for rent and utilities and employee health insurance and cable and travel. It’s a short-term hit for a big management company like SG Projects. They have Beiber and Carly Rae Jepsen and others to help pay the bills. But imagine if this was a smaller company and Grande was their only money maker. It appears that she is only going to cancel 7 shows. That’s not a whole tour, but that’s millions of dollars that are lost. That’s on top of the costs of future shows, where security will get stricter; where parents won’t let their children go because of safety concerns. And it just gets worse. KISS cancelled their May 30th show in Manchester. When does it end?